Perfectly located in the Sacramento Valley just east of California’s state capital, Rancho Cordova features unbelievably easy access to all the waterways that flow down from the Sierra Nevada Mountains. Rivers, lakes, creeks, and marshes pave the way for some splendid recreation in the area, with Rancho Cordova serving as a perfect base camp for water sports and other outdoor adventures. Opportunities to explore the waterways are endless, but here is a quick primer on the best places to get in the water and enjoy a trip to this scenic part of the state. Lake Natoma is located just northeast of town between the Folsom and Nimbus dams on the American River. The 500-acre lake is a local favorite for water sports, including sculling, kayaking, stand-up paddleboarding, windsurfing, and sailing. A speed limit of 5 mph for motorized craft makes it a real treat for paddlers. Be sure to check out the Sacramento State Aquatic Center, where you can take lessons and classes for a wide variety of activities on the water. The aquatic center is also known for hosting some of the biggest collegiate and intercollegiate rowing championships—you can even take courses in team building and competitive rowing. Boat rentals are available at the aquatics center, and four launch areas are available to put-in your own watercraft. For those looking for some out-of-the water fun, the area is also surrounded by both paved and unpaved trails that are great for cycling, hiking, mountain biking, and trail running. If you enjoy fishing, Lake Natoma is best known for its rainbow trout, although you also have the opportunity to catch black bass, large and smallmouth bass, crappie, sunfish, bluegill, carp, and catfish. If you’re not fishing from a boat, the Nimbus Flat Fishing area offers a pier with low railings that’s a great spot to drop a line. A classic float on the American River is a thoroughly enjoyable summer experience. Of all the rivers that flow into the Sacramento Valley, the American River is unparalleled for its recreational opportunities. It’s split into three sections: the North Fork, the Middle Fork, and the South Fork, and the river is an epicenter for rafting and kayaking with a little bit of everything from class II rapids to burly class V sections that—when flowing high and fast—are some of the best in California. 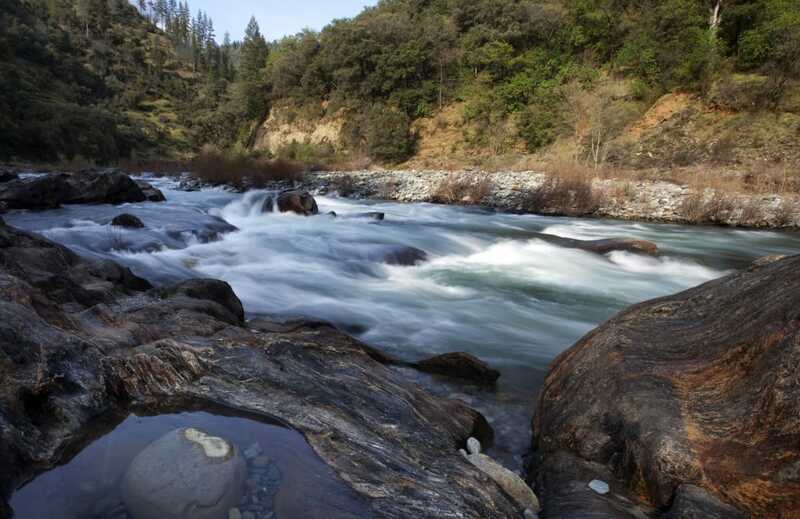 While each section of the American River serves up a variety of scenery and experiences, the North Fork exudes elements of grandeur as it winds its way through large canyons with towering waterfalls and epic scenery. The river runs strongest from the spring into June, where it is recommended for intermediate to advanced kayakers and rafters. Those advanced paddlers will want to experience the Generation Gap, a steep 12-mile section of fast flowing class V whitewater. A classic float on the American River throughout the summer months—and a paddler’s favorite—is the Middle Fork section. This excursion can be done in a multi-day format or in single-day sections; however, the multi-day trip is highly recommended as it really gives you the chance to experience the serenity that these mountains and river have to offer. One of the best and most invigorating sections that is Tunnel Chute, a fast-moving section of pounding whitewater and big drops that finishes with a delightful little trip through a carved-out tunnel. Take on this river and experience an intermediate level river that is fun all-around. For a quicker trip, however, the Lower American River from the Lower Sunrise access point to River Bend Park is an excellent option. This stretch, which is primarily a gentle float with a little whitewater mixed in at the San Juan Rapids, actually runs through Rancho Cordova. You can rent a raft at American River Raft Rentals, or, of course, bring your own raft, tube, or kayak. The North Fork of the American River exudes grandeur as it winds its way through large canyons with epic scenery. Last but not least, the South Fork is one of the most popular and smooth-flowing sections of the river. It’s suitable for those looking for a fun experience without over-the-top rapids. A 20-mile section from Chili Bar to Salmon Fall features around 20 manageable rapid sections that keep things exciting. This is the section of river where gold was discovered, and it encapsulates a little of the gold rush history of California that spurred one of the largest migrations in U.S. history. As you wind your way down the steep canyons—keep your eyes open for gold. 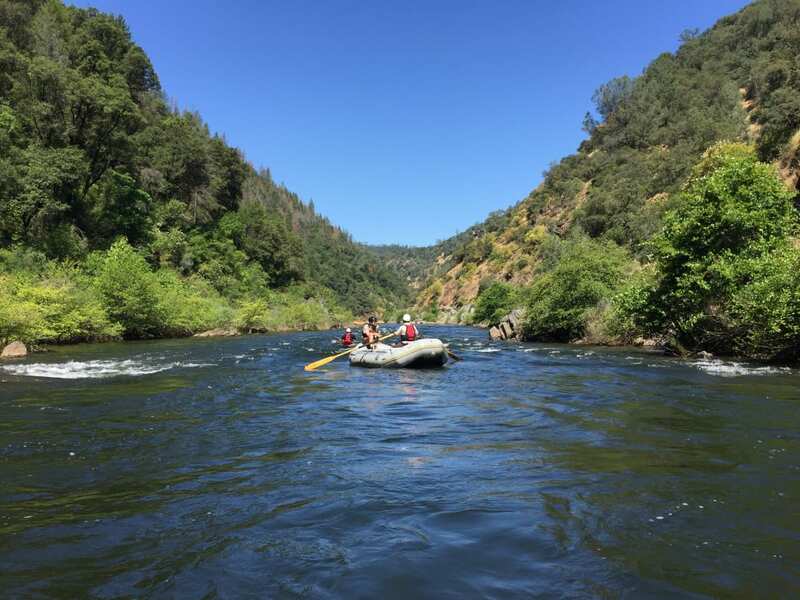 Whatever section of the American River that you choose, there are a variety of outfitters who can help to ensure that your experience is eventful and memorable enough to make you want to come back for more. For those who want a more tranquil experience on the river, consider fly fishing. Fish Habit Outfitters will take you out on a guided experience to learn the sport and enjoy the incredibly scenic surroundings. Depending on the season, you could reel in a striped bass, shad, Chinook salmon, and steelhead. For even more ideas of things to do on your next visit to Rancho Cordova, download the Visitors Guide here. Written by RootsRated Media for Rancho Cordova Travel and Tourism.